There are loads of articles floating around now about how not to waste food and the benefits to your wallet and your health of eating sustainably. One way of doing this is to cook up a weekly roast and then use the leftovers throughout the week. Chicken is a great bird to use as it's relatively lean, high in protein and inflammation-fighting selenium (I've written about this nutrient's role in arthritis here). You can use the left over meat for healthy stir fries and the carcass for flu-busting soups (or not - read this great article on the chicken soup myth). Roasting a joint for a meal can seem daunting when you have arthritis but don’t be put off, it’s actually very simple and involves little more than seasoning the chicken and then popping it in the oven. You can vary the seasonings you use depending on what you want to serve it with. Keep things fresh and nutritious by making healthy roasted vegetables to accompany it – simply toss baby carrots and new potatoes in a tablespoon of oil before roasting for 40 minutes. Place the chicken in a roasting dish. Pop the 4 unpeeled cloves of garlic and lemon (if using) into the cavity – you may need to cut the lemon into half or quarters to do this. Pour the olive oil over the top of the chicken and then rub it all over. Season the chicken liberally with the salt and black pepper. Put the joint in the oven and cook for 1hr and 20 minutes. 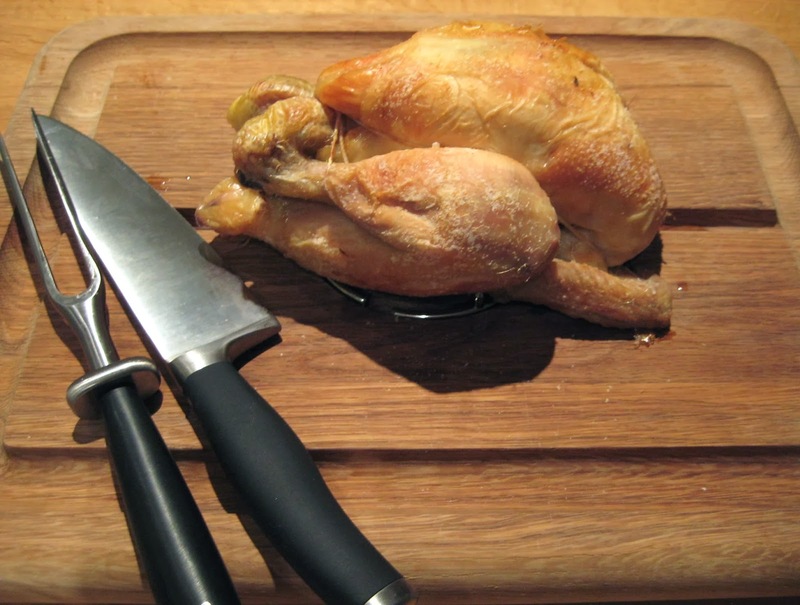 Remove the chicken from the oven and check it is cooked by piercing a leg with a knife or skewer – if the juices run clear, it is done. Tip the chicken so any fluid in the cavity drains out and transfer the whole thing to a carving board. Leave it to rest for 10 minutes and then serve.